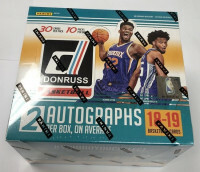 Factory Sealed 2018/19 Panini Donruss Basketball Hobby Box mit 10 Packs Per Box, 30 Cards Per Pack. 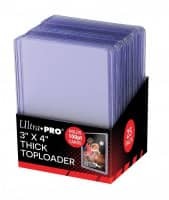 2 Autogramme und 60 Insert/Parallel Cards per Box, im Durchschnitt ! 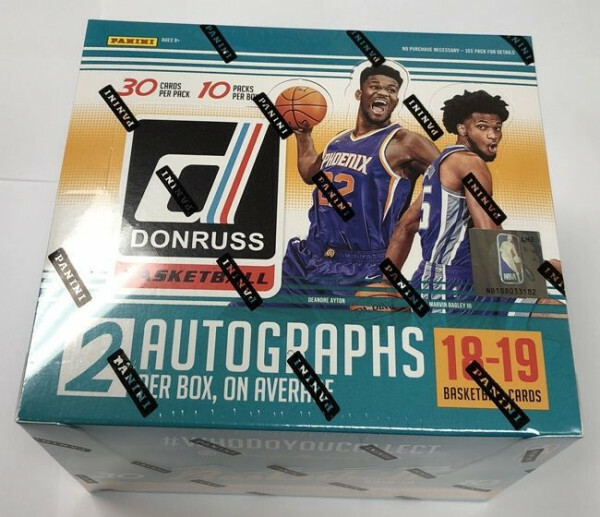 Produktinformationen "2018/19 Panini Donruss Basketball Hobby Box NBA"
Donruss Basketball returns with an all new jumbo configuration! Look for two autographs and 60 inserts or parallels per box, on average! Pull the first on-card autographs of the 2018-19 NBA rookie class in their NBA uniforms in Next Day Autographs! Find autographed memorabilia cards from the stars of the 2018-19 NBA rookie class in Rookie Materials Signatures! RATED ROOKIES/NEXT DAY AUTOGRAPHS/ROOKIE MATERIALS SIGNATURES: Pull plenty of stunning rookie content in Donruss! Find Rated Rookies of your favorite 2018-19 rookies, as well as autographs in Next Day Autographs and Rookie Materials Signatures! COURT KINGS/ALL-STARS/ALL HEART: Find a plethora of unique insert designs, which include a mix of stars, rookies and legends of the game! CHARLES BARKLEY SP: Chase rare SP cards of "Sir Charles" himself that fall less than one per case, on average! SIGNIFICANT SIGNATURES: Look for autographs from some of the greats of the game! TIMELESS TREASURES MATERIAL SIGNATURES: Find a treasure trove of autographed material in Timeless Treasures material Signatures! 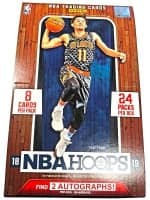 Weiterführende Links zu "2018/19 Panini Donruss Basketball Hobby Box NBA"
Fanbewertungen für "2018/19 Panini Donruss Basketball Hobby Box NBA"